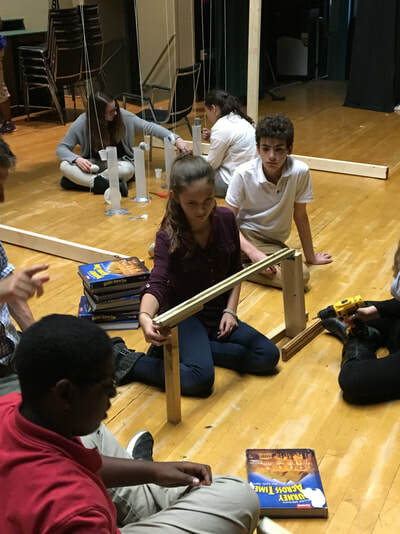 In teacher Robert Porto’s four eighth-grade engineering classes at Lawrence School, students are undertaking three large-scale projects as part of an FEF-funded “Engineering Through Competition and Collaboration” grant. 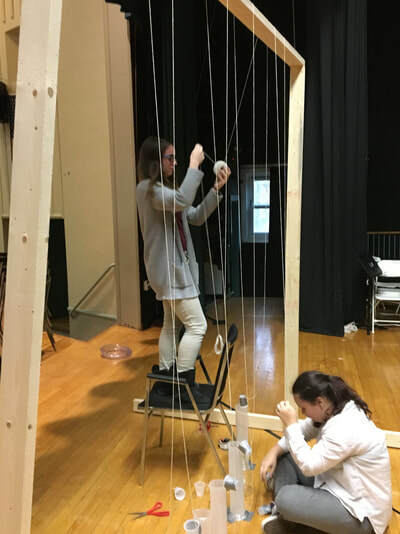 First up was the “Rube Run,” in which students worked to design a Rube Goldberg device to run through the school’s auditorium. Each of the four teams was assigned a school subject to represent in their device. The students developed numerous ideas; some more successful than others. Yet the students’ self-confidence and skill steadily increased as they worked cooperatively to problem-solve their devices. 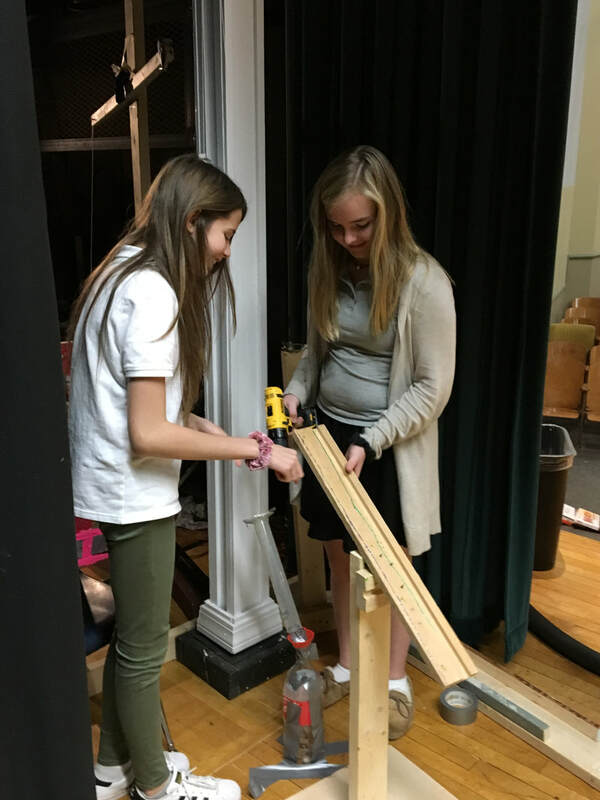 Some of the science concepts involved included potential and kinetic energy, energy transfer, gravity, action/reaction, momentum, chemical reactions, and fluid dynamics, among others. 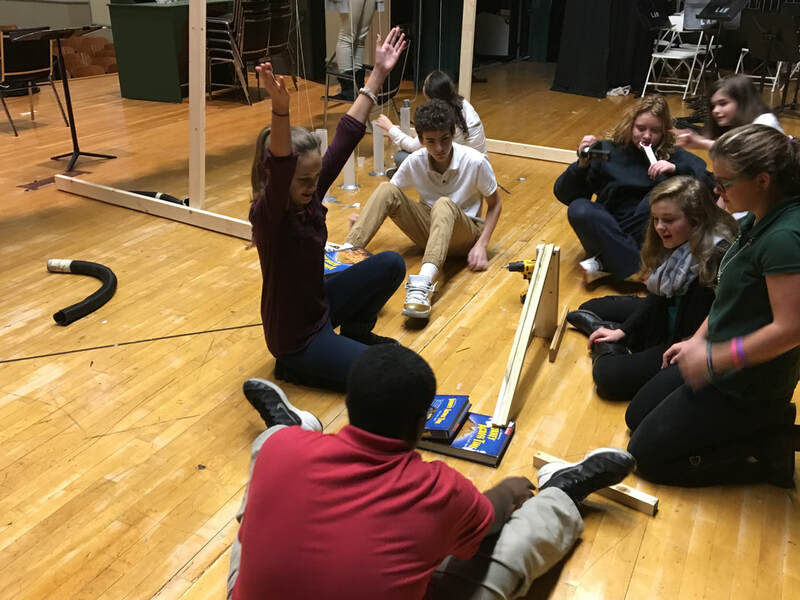 By the end of the second trimester, the students will have built “Iditarod” sleds, which they race on a mile-long course around the school. At the end of the third trimester, the students will build “DaVinci Dash” vehicles consisting of pendulums, push bars, gears, and catapults to compete in 10 engineering events.